Two state-run lenders State Bank of India and Punjab National Bank on Thursday raised their lending rates by up to 20 basis points, a move that will increase the interest rates on existing as well as home, auto loans and personal loans. While the nation’s largest lender SBI raised its one year MCLR (marginal cost of fund-based lending rate) by 20 basis points (bps) to 8.15 per cent, PNB increased its loan prices by 15 bps to 8.30 per cent. The lending rate hike by these lenders come even as the Reserve Bank has been in an accommodative/neutral stance since January 2015. The present RBI rate or repo rate is 5.75 per cent now. Even in the last policy review early last month, the central bank had sounded more accommodative than hawkish even though it increased its inflation forecast. Defending the hike that will hurt all borrowers, especially the individual borrowers the most, SBI said “in the past one month, liquidity situation, which used to be in surplus has become neutral or maybe in a minor deficit mode. “Also bond yields have gone up by around 125-150 basis points over the past few months. Given the liquidity situation, some alignment was required and it has been done today,” SBI managing director and head of retail and digital banking PK Gupta said. The lending rate hike also comes in the wake of banks as a whole seeing pick-up in credit demand. After many years of low single-digit credit growth, the quarterly loan demand crossed the double-digit mark at close to 11 per cent in the three months to December 2017. Gupta said even after this increase, SBI’s lending rate is marginally lower than what other banks are offering. “Earlier, the whole market was in a downward cycle but now the feeling is that the risk for inflation is on the upside only. We think that the downward cycle is over and the rate should probably remain stable around the current rates for some time,” Gupta of SBI said. The State Bank raised its six-month MCLR by 10 bps to 8 per cent, while its three-year loan pricing goes up by 25 bps to 8.35 per cent. 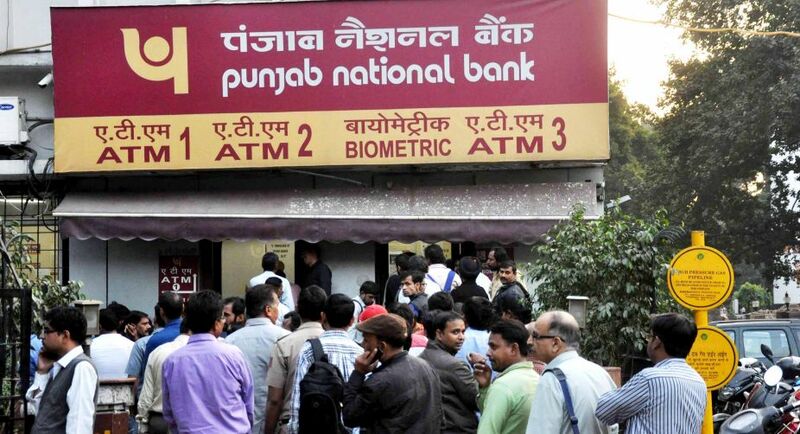 The Delhi-based PNB, which is firefighting the largest financial fraud in the country and staring at a possible loss of around Rs 13,000 crore, has also followed its larger per hiked its one year MCLR rate by 15 bps to 8.30 per cent. PNB, which is the second largest public sector lender, also raised the overnight, one-month, three-month and six- month rates by 15 bps to 7.80 per cent, 7.95 per cent, 8.10 per cent and 8.25 per cent, respectively. The SBI move comes a day after it had raised its retail and bulk term deposit rates for various maturities by up to 75 bps. For retail deposits, below Rs 1 crore, the rate was increased by up to 0.50 per cent, while for deposits maturing in one year to less than two years, it was hiked by 0.15 per cent to 6.40 per cent. PNB also increased its retail and bulk term deposits by up to 45 basis points today. For retail deposits maturing in one-year to three-year, rate has been increased by 25 bps to 6.75 per cent. The bulk deposits for one year maturity has been increased to 6.75 per cent from 6.50 per cent.